I like to introduce to you EndPlasticSoup. 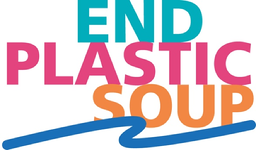 EndPlasticSoup is an initiative of Rotary Clubs of Amsterdam (D1580), started in 2018. Within a year it has brought about great enthusiasm and a lot of activities amongst 60 Rotary and Rotaract Clubs in the Netherlands, in Germany and in Europe. EndPlasticSoup is creating awareness, setting up local actions, connecting Rotary internationally, across generations. Our goal is using our Rotary network to have a real impact and to help realize the required changes to prevent plastic waste ending in nature and to remove plastic from our environment. EndPlasticSoup is connecting Rotarians and other activists internationally, it offers a platform to existing organizations that are fighting plastic waste and opens up (local) initiatives all over the world. This year 2019 EndPlasticSoup is reaching out to the Rotary International community. With WASRAG, ESRAG, and RotarAct Europe we are starting up EndPlasticSoup actions and projects worldwide. We would very much like to get input from your clubs and districts to help define a campaign with support from Rotarians worldwide. I am quite sure one or more Rotary Clubs or individual Rotarians in your district are already involved in the plastic issue. And every country has national and local non-governmental organizations working on the plastic issue, with similar or different approaches to the subject. EndPlasticSoup is very interested in connecting with them to exchange ideas and develop common targets and actions. Will you please help us and send this letter to Clubs/Rotarians and other organizations in your district that might be interested in connecting with EndPlasticSoup? You will find all information in our website http://endplasticsoup.com. You are invited to sign our petition and join the EndPlasticSoup initiative, both individually and as a Club. Clubs that are interested in taking action and prefer a personal advice please contact the Steering Committee of EndPlasticSoup through Wytzia de Savornin Lohman RC Amsterdam (+316-28831083), Gert-Jan van Dommelen RC Huizen-Gooimeer (+316-53227713) or by email: endplasticsoup@gmail.com. We also hope to meet you during the RI Convention in Hamburg, where EndPlasticSoup will present itself to the Rotary Community. Together with Hamburg Rotary Clubs we are organizing the Biggest Rotary EndPlasticSoup Pricking And Fishing Event. At the same time we collect caps and bottles to support the successful German Rotary action ‘Deckel Drauf’ to raise funds for End Polio Now and making the connection to Rotary’s biggest achievement in history. https://deckel-gegen-polio.de. Dear colleagues, feel free to ask me your questions, I will be happy to answer them.